Can 6 weeks be the difference between life and death? 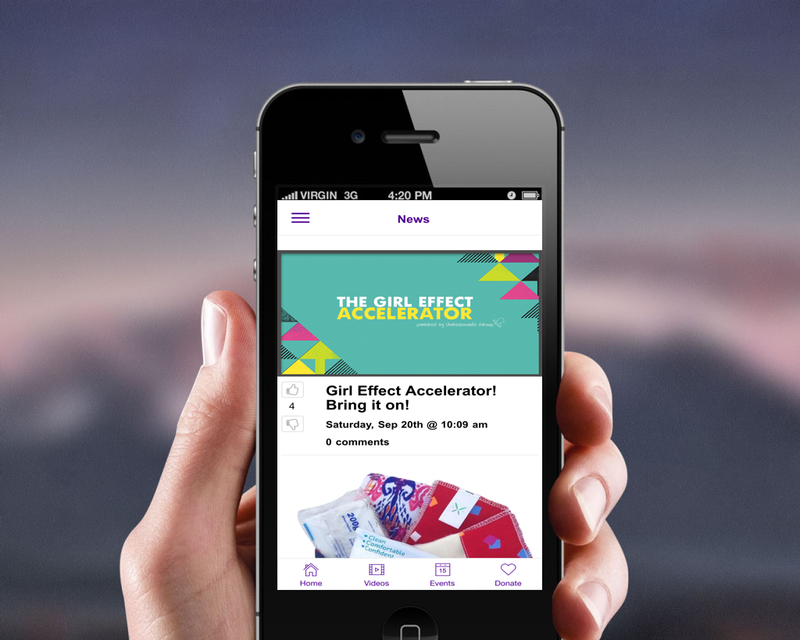 How one Charity is using a mobile web app to connect their supporters to the front lines! It’s hard to imagine but for girls across Sub-Sahara Africa the answer is a resounding yes. Each year girls miss 6 weeks of school due to a lack of menstrual-health products. It’s an embarrassing issue and not one that people want to discuss – including the girls who most desperately need the help. Yet, the ripple effect of addressing such a basic human dignity issue is incredible. Girls, who are the recipients of Transformation Textiles Dignity Kits see a 75% increase in attendance in school. Transformation Textiles goal this year is to impact 100,000 girls with the gift of dignity! InspireHUB has been honored to assist Transformation Textiles through their journey including the development and position of their brand, and the training of their staff through InspireHUB Academy. A Canadian charity with operations in Egypt that distributes through Africa, Transformation Textiles launched their own custom-branded IHUBApp athttp://transformationtextiles.ihubapp.org earlier this year. “I was kind of amazed at how our story emerged as we used the tool to create our own IHUBApp,” explained Rachel Starkey, co-founder of Transformation Textiles. “ At one point it was so addictive to just be populating more and more content. I am not a techy person and I love how the app is so concise and it is so easy to say to someone … hey all you have to do is ‘just tap’. Feminine Hygiene + Health Education = 75% better school attendance. Without access to water, private toilets and sanitary products; most girls decide to stay home from school during the duration of their period. By the end of the year, most girls will have missed approximately 6 weeks of classes, and eventually drop out altogether. Only 1 in 3 girls will graduate. Transformation Textiles takes textile off-cuts and creates an affordable solution for girls living below a $2/day income while reducing waste at the same time. Not only does Transformation Textiles distribute reusable underwear and pads, they also train and educate girls about their health, hygiene and sanitation; removing barriers so they can reach their full potential in all facets of their lives. Transformation Textiles faced a unique challenge. As a Canadian-based Charity with operations in Egypt that serves the needs of Kenyans – it is truly a global-based organization. Supporters, members, and staff are dispersed across time zones and cultures yet they are united by their passion to see girls have the barriers removed. Transformation Textiles’ IHUBApp provides the ability for instant updates in real-time. Whether it is posting from the back of an airplane or announcing a new training line the IHUBApp allows its staff and volunteers to journey with them every step of the way. 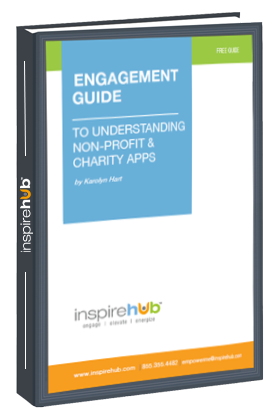 FREE Engagement Guide to Understanding Non-Profit and Charity Apps! Is your Charity or Non-Profit thinking of getting an app? Do you know how to ensure that people actually ENGAGE with your app? Do you know that many apps end up ignored? Did you know that Charities and Non-Profits have restrictions when it comes to processing donations on native apps? What do I need to do before I engage someone to build an app? How does my organization’s engagement level impact the success of my app? What are the restrictions on processing donations through apps? Can we afford our own custom branded Web App?